MERCY! Ah, what a lovely word.Mercy speaks of compassion, love, tenderness, "thinking the best," overlooking faults and failings...and we could go on. Those of us who have mercy-showers in our lives are blessed beyond measure! How reflective is mercy of our merciful, loving Creator. Even throughout the Old Testament, we read of God's tender mercies and loving-kindness toward the children of men. But there was a "not so little thing" called God's Justice, that is, His holiness and righteousness, that hindered the full expression of His mercy and love to us sinful creatures. That's where our Great High Priest, the Lord Jesus Christ, comes in...His Person and His work released us from the just wrath of God against sin so Mercy could come flooding forth upon us. No where do we see the what's and wherefore's of the mercy of our God better spelled out than in Hebrews, chapters 8 through 10. There we see the provision God made over generations to show mercy to a stiff-necked people (a.k.a. you & me). On the night in which he was betrayed, Jesus took a cup of wine, passed it to his disciples and said: "Drink from it, all of you. This is my blood of the covenant, which is poured out for many for the forgiveness of sins" (Mt 26:27-28). With those words and that symbolic action, he borrowed the phrase used by Moses when he took the blood of an animal, sprinkled it on the people and said, "This is the blood of the covenant that the LORD has made with you in accordance with all these words" (Ex 24:8). The contrast was deliberate. Moses used the blood of an animal; Jesus used wine as a symbol of his own blood. 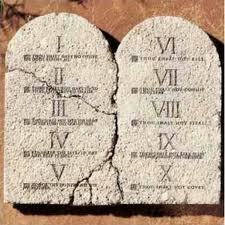 Moses spoke of the covenant of the law; Jesus alluded to the new covenant of grace. Moses spoke of God's words which provided for the partial covering of sins so God could remain with his people; Jesus promised the actual remission of sins so God could live within his people forever. It is that excellent new covenant which chapters 8-10 of Hebrews...expounds. Compared to the Old Covenant (Law), The New Covenant is immeasurably more glorious! No longer is it, "I do it; therefore God does it." This was at the heart of the Law ("If you obey, I will bless you and be your God."). Rather now in the New Covenant, it's all about, "God does it: therefore, I do it." Isn't that the way, Jesus lived His life on earth? The New Covenant then is all about God and what He has done through the finished work of His Son. And it's also about what He is now doing in His world, in and through His people. The Law written on the heart (Heb 8:10; 10:10). No longer are God's ways (the Law) written on tablets of stone (2Cor 3), but now they are written on human hearts. And even that heart of ours has been changed. Look at an important cross reference: And I will give you a new heart, and a new spirit I will put within you. And I will remove the heart of stone from your flesh and give you a heart of flesh. And I will put my Spirit within you, and cause you to walk in my statutes and be careful to obey my rules. Ezek 36:26-27 ESV Not only is the Law written on a new heart, but the Holy Spirit is united with our spirit. He causes us to walk in God's ways...isn't that incredible?! So now there is the truth united with desire and power! II. He is the Minister in the True Tabernacle (8:2-6; 9:1-14, 23-28)....Jesus entered the True Tabernacle...the Holy of Holies of the throne room of heaven. And what did He do there? III. He Himself is the Offering of a Perfect Sacrifice (10:1-18). He offered HIMSELF! He was the perfect, eternal sacrifice because of His perfect, indestructible life (Hebrews 7). He presented His perfect blood so that He could perfect for all time, those who are in the process of being sanctified while on this earth (10:10,14) It's a finished work that is a done deal forever. It is totally true, perfectly and forever int the eternal realm. But you may ask, "Why am I not experiencing this now?" The answer is all about faith. Just as we enter the New Covenant by faith in the finished work of the eternal Son of God, we also live by faith every day of our lives in this temporal realm (Col 2:6-7). As we run our lap in the race of faith (Hebrews 12:1-4), we fix our eyes on the indwelling Christ. We surrender to His indwelling, resurrection zoe Life. 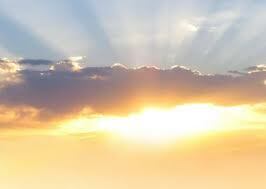 Then we experience the glory of the New Covenant: "God does it; therefore we do it!" If we begin to live according to our own, even morally "good" way," we go back to OC living, expecting something of God in response to our "good works" (like a reward) or in addition to our "good works" (like help to do what I'VE determined to do). Then we're back to, "We do it ; therefore God does it." So let me ask you a question. What would change for you if you took the risk to abandon yourself to the New Covenant, Indwelling, Risen Christ...ceasing from your own labors, self-effort, good works...and live in His Sabbath Rest (Hebrews 4:9-11)? I love the imagery of this song. Can't you just visualize our Father God "bursting forth" when Jesus cried from the Cross "Tetelestai/It is finished!/the sin debt, paid in full!" and breathed His last? Usually we think of us finally being able to come into the throne room of God (Heb 4:16). But here we see it from the opposite direction -- God "chomping at the bit" (I hope that's not irreverent) to get at us with His loving-kindness and tender mercy. When the veil was rent, God came flooding out to the world of men. Oh, embrace Him by faith today! MERCY! Ah, what a lovely word. Mercy speaks of compassion, love, tenderness, "thinking the best," overlooking faults and failings...and we could go on. Those of us who have mercy-showers in our lives are blessed beyond measure! How reflective is mercy of our merciful, loving Creator. Even throughout the Old Testament, we read of God's tender mercies and loving-kindness toward the children of men. II. He is the Minister in the True Tabernacle (8:2-6; 9:1-14, 23-28). ...Jesus entered the True Tabernacle...the Holy of Holies of the throne room of heaven. And what did He do there?